How do you attempt to surpass the world's most successful video game console? For Nintendo, the answer was clear: try to create a better machine that exceeds the previous generation in every way. The Nintendo Entertainment System (or Family Computer in these parts) was a runaway hit but the 8-bit hardware was showing its age. Competitors such as Sega had already released a more advanced Mega Drive. Enter the Super Nintendo Entertainment System or SNES. Technically, it was as advanced as any piece of '90s-era gaming hardware could be. 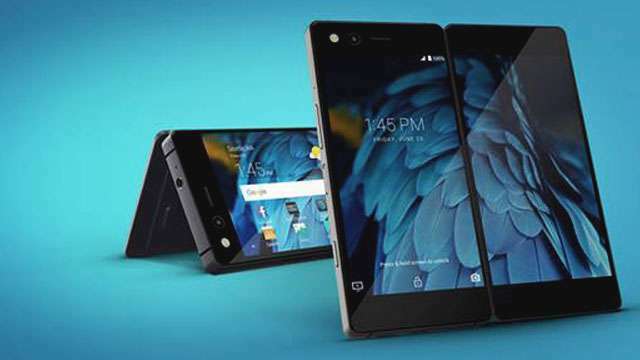 The specs included 16-bit architecture, a dedicated graphics chip which has the ability to display 32,768 colors, and 8-channel audio. In 1990, Nintendo launched the SNES (as Super Famicom) in Japan and created quite a stir. Immediately, 300,000 units sold out within the first hour. It caused a public disturbance and prompted the Japanese government to ban video game launches on weekdays. Despite the stiff competition from Sega and NEC, the SNES emerged on top. Nintendo's strategy of creating an all-new machine somehow worked despite being a gamble in the tech world. 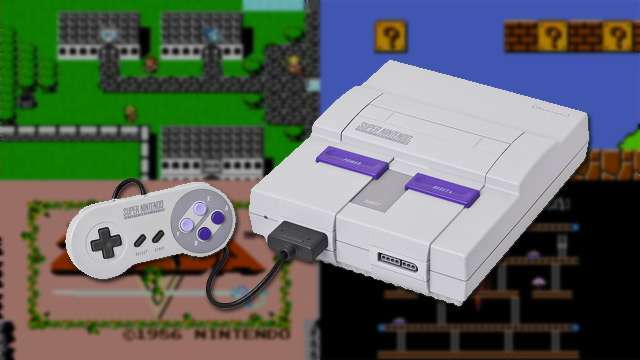 The SNES didn't have backwards compatibility so you couldn't play old NES games on it. Instead, the system banked on first party titles to move Nintendo forward into the 16-bit generation. In Japan, the SNES launched with Super Mario World and F-Zero. Super Mario World was a direct sequel to Super Mario Bros. 3 and followed the adventures of Mario and Luigi after having saved the Mushroom Kingdom in the previous game. The new game marked the first appearance of Yoshi, Mario's loveable and rideable dinosaur companion. F-Zero was a hovercraft racing game that showcased the pseudo-3D capabilities of the SNES. For the US launch, Pilotwings was added as a launch title. The game was a flight simulation game where players controlled various aircraft such as a hang glider, jet pack, light plane, and an attack helicopter. Because of territorial segmentation, the SNES had two major case designs. The Japanese Famicom had a sleeker futuristic casing, rounded edges, and a smaller footprint. The US SNES version had a blockier chassis with a slightly retro '80s appearance. It was also larger compared to the Famicom. Both consoles used the same controller design with four action buttons. The SNES and Famicom cartridge designs were different too, making them technically incompatible with each other unless adapters were used. The most notable feature that both the SNES and Famicom had were game cartridges that had an additional processing unit known as the Super FX chip. This chip was embedded in game titles that showcased advanced graphical effects such as polygonal 3D rendering. With the introduction of the SNES, the top two console makers suddenly found themselves in a bitter console war. Sega's Mega Drive/Genesis was targeted towards the cooler and edgier kids. Its console version of Mortal Kombat included the gratuitous gore found in the arcade version. Sonic was pitted as the game mascot rival of Mario. Nintendo's strategy in winning the console war was a steady release of quality games with a broader appeal. The big guns in the SNES arsenal were the first party titles such as Super Metroid, The Legend of Zelda: A Link to the Past, Star Fox, Super Mario Kart, and Donkey Kong Country. Because of a strong relationship with third party developers, genre-defining games were also released on the SNES. Chrono Trigger was created by a dream team of RPG developers from Square. It featured multiple endings, innovative combat, and a Studio Ghibli-like storyline. Street Fighter II was a nearly faithful console port of the worldwide arcade hit. The game was the gold standard for fighting games on home consoles. The Secret of Mana, Final Fantasy VI, Dragon Quest V, and Breath of Fire further cemented the SNES as the greatest platform for role-playing games in the '90s. Action gamers also stuck with the SNES for games such as Contra III, Mega Man X, Castlevania IV, and Super Ghouls 'n' Ghosts. As the most dominant console of the '90s, the SNES's appeal stretched across two generations, from Gen Xers to Millennials. With heavy influence from the games of their youth, some of these '90s gamers are now designing games that pay homage to the 16-bit era. Recently-released indie games such as Papers Please, CrossCode, Rogue Legacy, Stardew Valley, and Starbound all hearken back to the glory days of the SNES. Although the 2D graphics look low res in the HD and 4K era, the laser focus on delivering top-notch gameplay is an obvious nod to the best SNES games. Perhaps, as further proof of its enduring appeal and legacy, the newly-released retro-inspired SNES Classic Mini from Nintendo has become a smash hit. Nearly 387,000 units were sold in Japan in just four days after its release. It continues to sell well in most markets. Included in the unit are 21 games including an unreleased sequel, Star Fox 2. Other clone retro SNES consoles have also emerged such as the Hyperkin Retron 2 and the Analogue Super Nt. Both of these retro consoles work with original SNES game cartridges. As the games industry is now pushing for hyper realistic graphics and virtual reality displays, the SNES will likely still be around in the next quarter century or so.